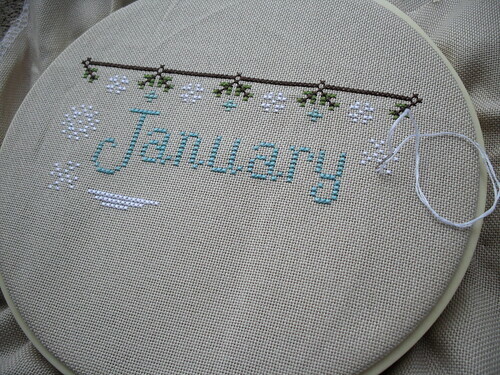 Here's my progress on my January cottage for the Cottage Stitch-Along. This pattern is a bit bigger than I expected (ok, a lot bigger than I expected). It's not a problem, but for some reason it was smaller in my head. I really like it though, more with every stitch. It's definitely one of the cutest patterns I've ever stitched. And now a question for all of the stitchers out there. 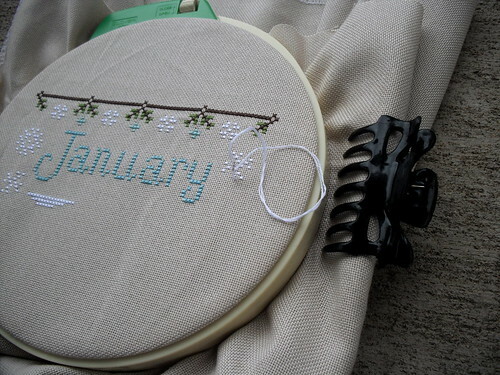 What do you do with your extra fabric hanging around your hoop? I've always used a hair clip from middle school (haha! ), but it seems like there must be a better way to keep that extra fabric under control. I don't like it flopping around and getting in the way. 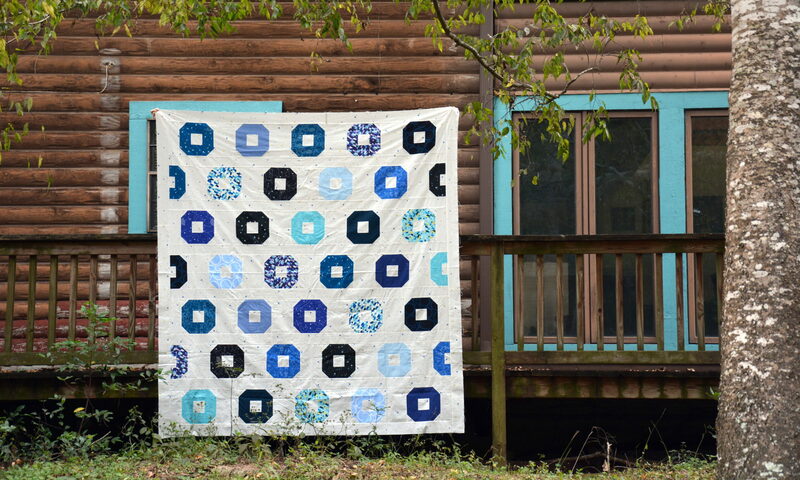 What do you use to corral your extra fabric?